Steven (Chicagoland, United States) on 3 November 2015 in Transportation and Portfolio. 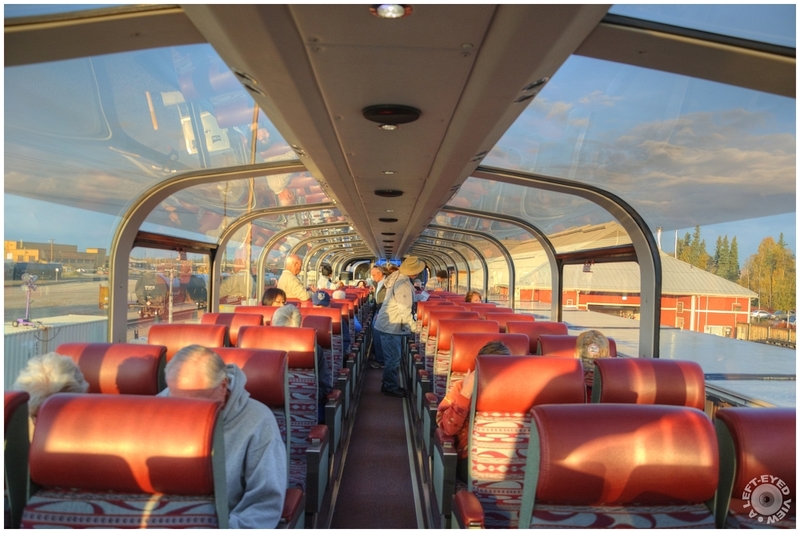 People boarding the second level of our glass top train that took us from Fairbanks through Denali National Park. Photo captured September 11, 2015. Nicely done. Excellent tones and very interesting with the reflections on top. Love the perspective and a great way to travel! Une superbe vue extérieur,This looks like a cool ride! A fine shot that shows us the interior and the exterior of this special, high visibility car. Un train panoramique quelle vue superbe. Beautiful shot! This looks like fun. Very beautiful and superb colors !! It seems a promising journey. Very nicely photographed. Wonderful shot of the ride, nicely framed and beautifully composed. Such a spectacular view! You can see from all sides. A great way to travel! A more modern mode of transportation. An excellent design concept, and a photographer's dream! Superb light and detail.